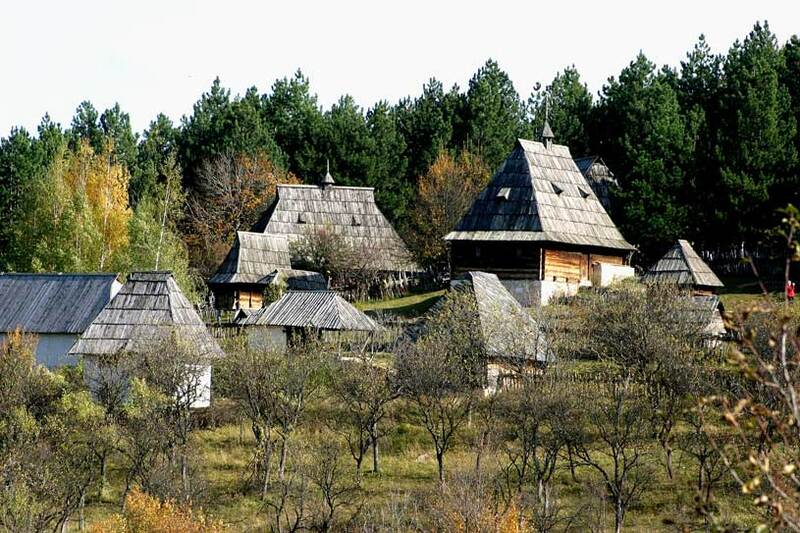 The selected buildings represent a wealth of architectural and cultural development of Zlatibor region housing, also showing social and economic relations in rural settlements. Knowledge and skill with which timber was treated reached a high level, which places these buildings among the major architectural achievements. The Dinar log cabin is basically rectangular and placed on a stone foundation. Walls are made of logs - hewn beams placed horizontally on top of each other. At the corners, there is a characteristic connection in the shape of a cross – ćert. The four-sided roof is steep and high, covered with straw, timber - shingles or stone. 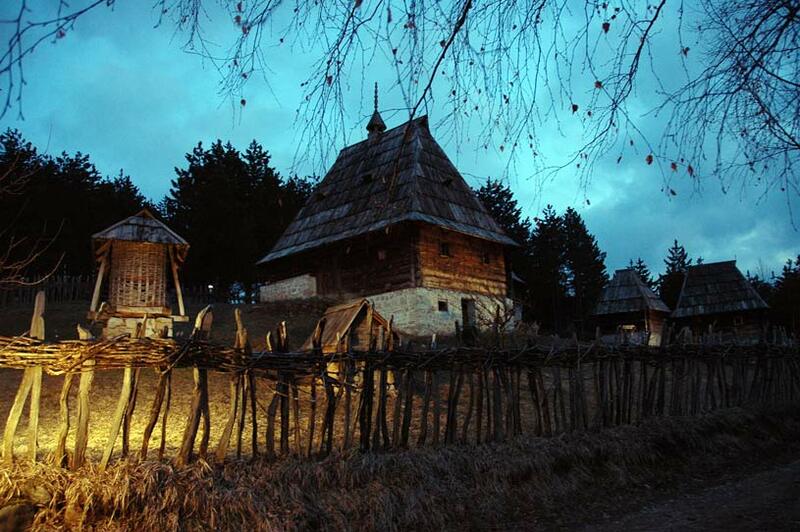 On the roof slopes, there are openings - badža, through which smoke comes out from the house. 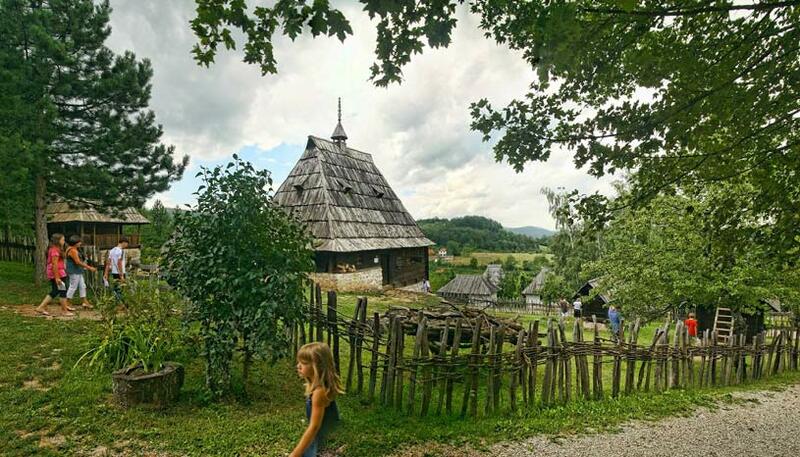 At the centre of the roof there is a distinctive chimney - kapić, which is of conical shape with a carved spindle on the top. The house has two doors, set opposite one another. 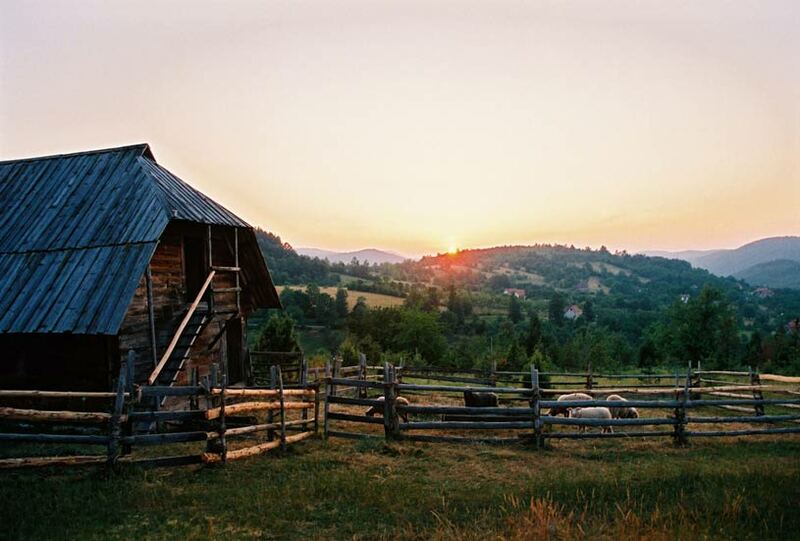 The permanent exhibition consists of two Zlatibor households, with residential and commercial buildings, such were owned by cooperative rural families in the second half of 19th and early 20th century. The commercial part consists of structures for the storage and processing of fruits and buildings for livestock, while Shepherd's Flat is a separate entity. In 2012 the museum exhibition included a reconstructed classroom, as well. All the buildings are furnished with authentic furniture.